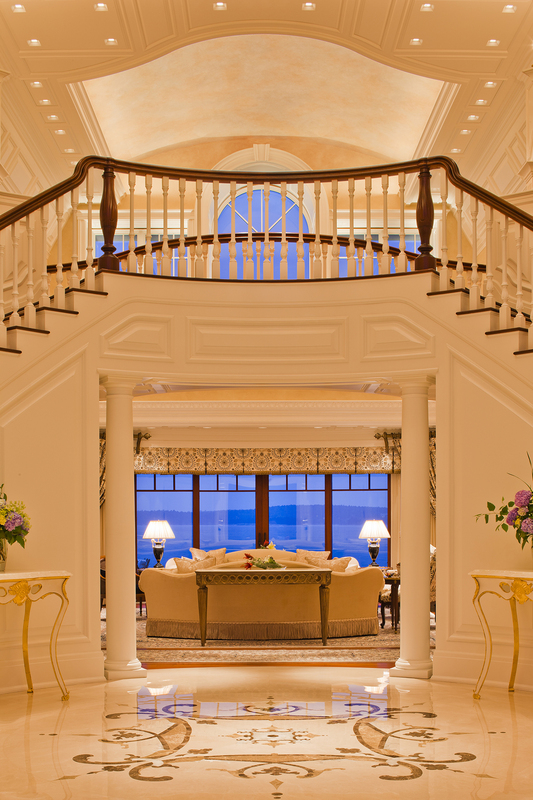 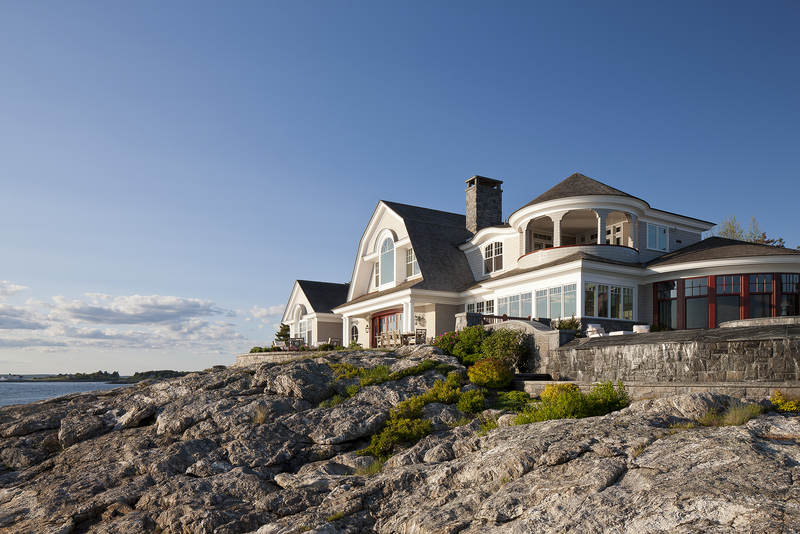 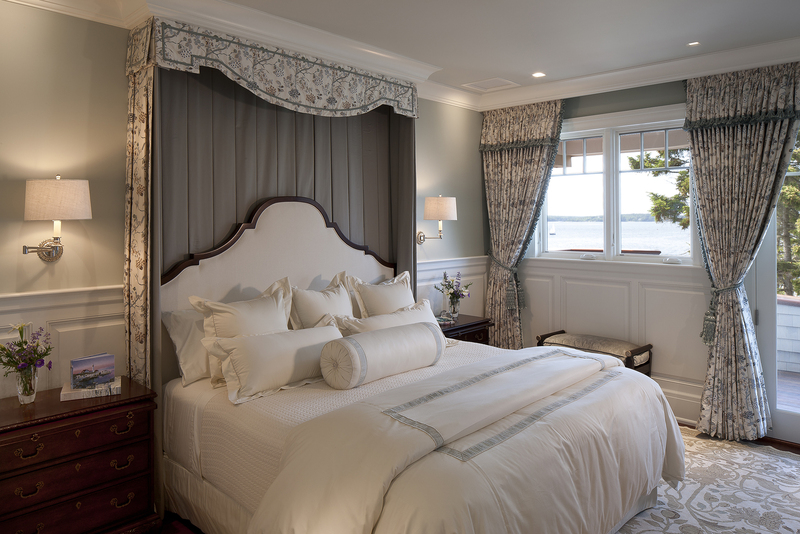 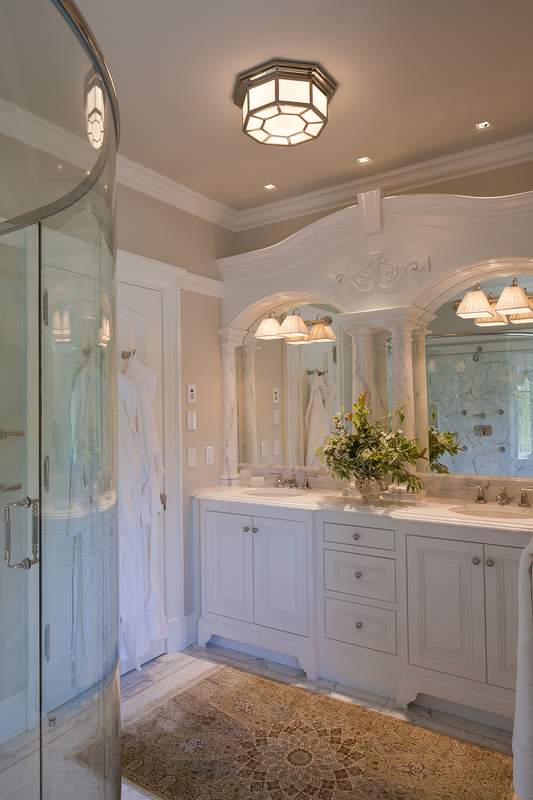 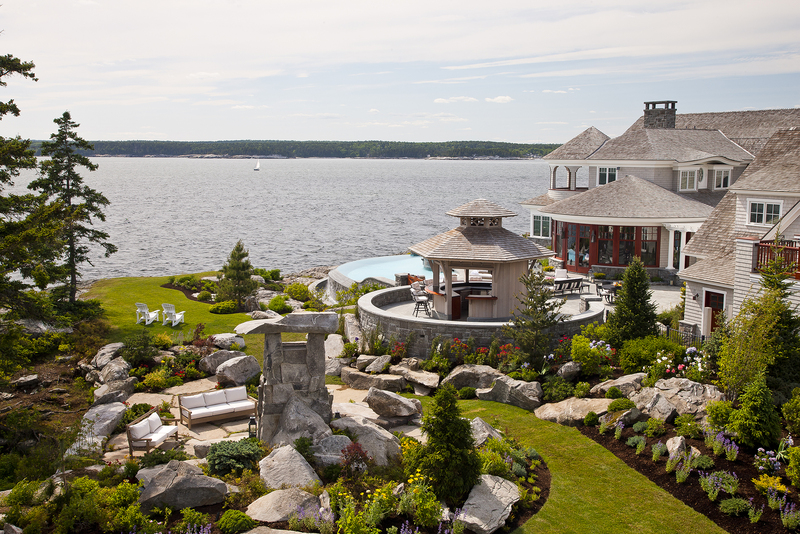 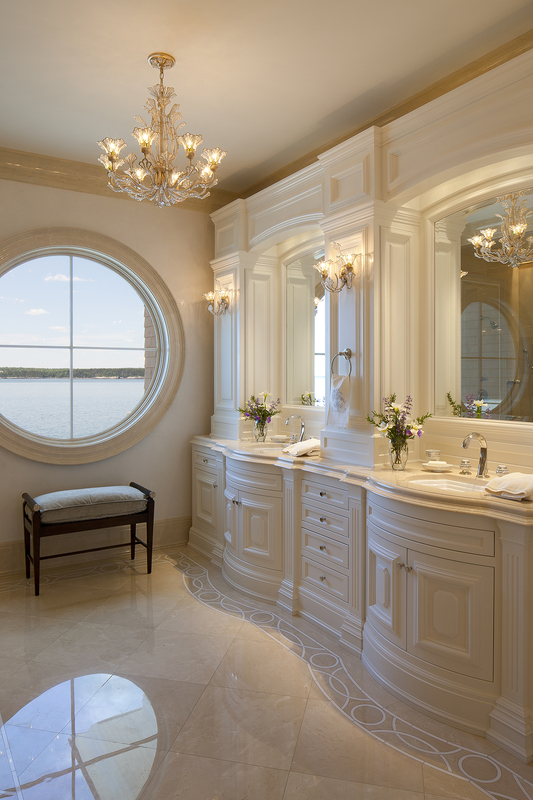 The inspiration for this elegant estate began at the shoreline. 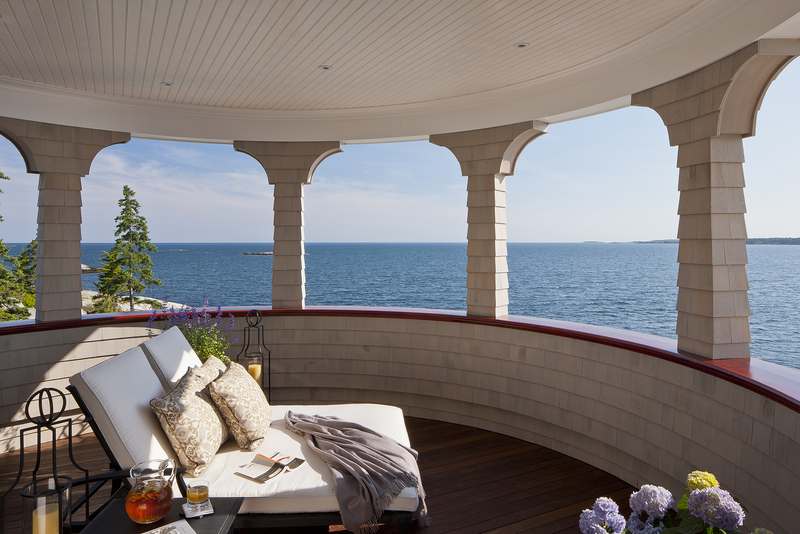 Set slightly back from the water, a high point of ledge offers unparalleled views of a lighthouse and sailing school to the north and island-studded ocean views to the south. 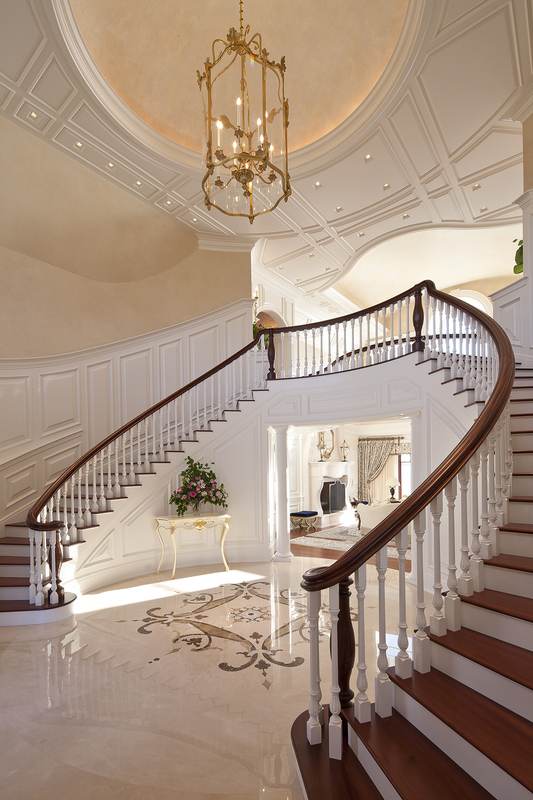 The central gambrel form draws you into a grand entry, its domed ceiling illuminating graceful double stairs that frame the intricate marble floor inlay. 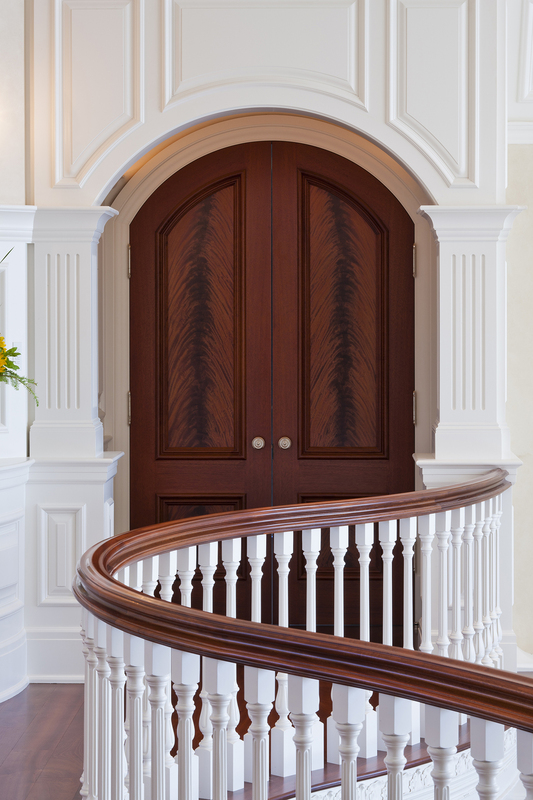 Curved mahogany doors disappear into hidden wall pockets; the greatest challenge being the flush stone sill to allow for uninterrupted flow from indoors to out. 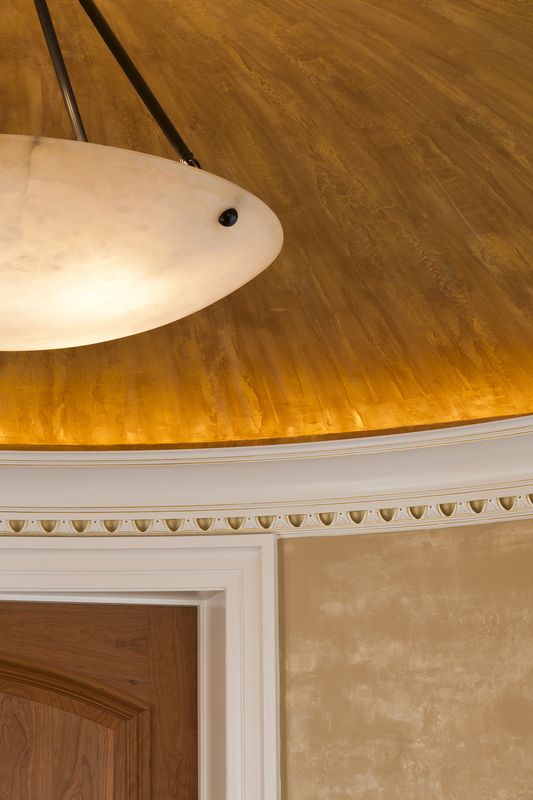 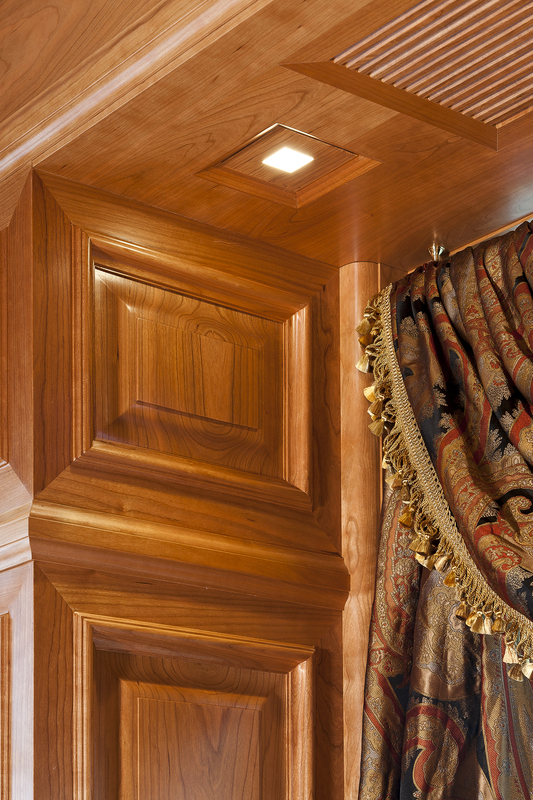 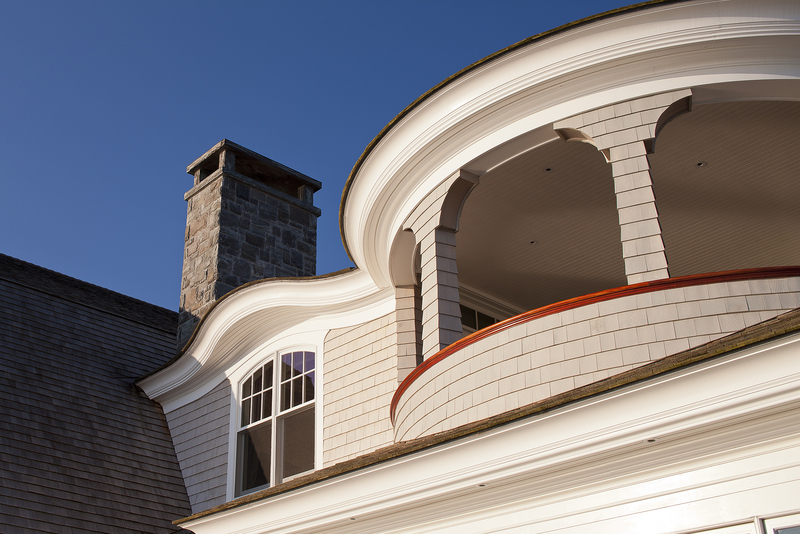 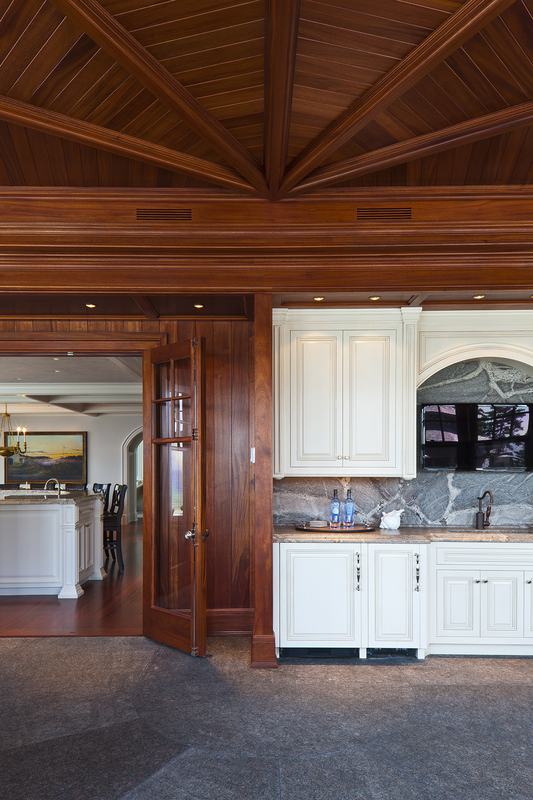 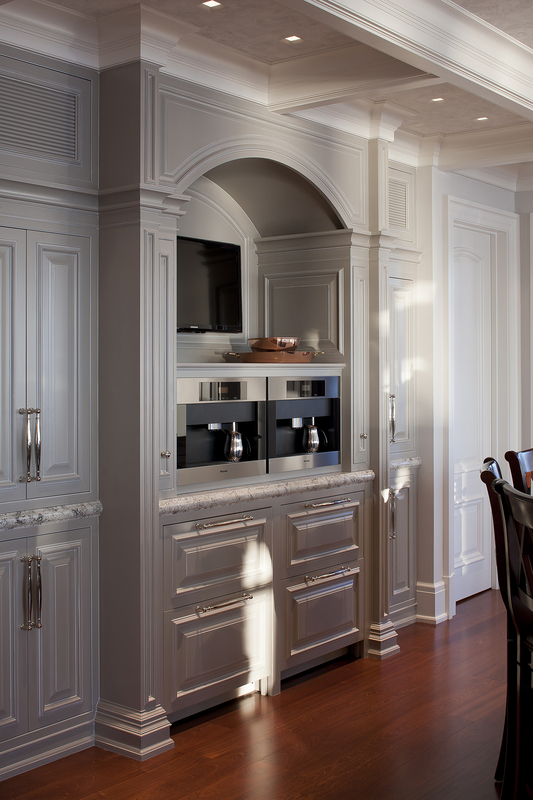 With curves meeting curves in every room, the intricate wood mouldings were individually designed by Knickerbocker Group architects and Urban Dwellings designers, who carefully detailed each piece to smoothly transition to the next and provide continuity throughout the home. 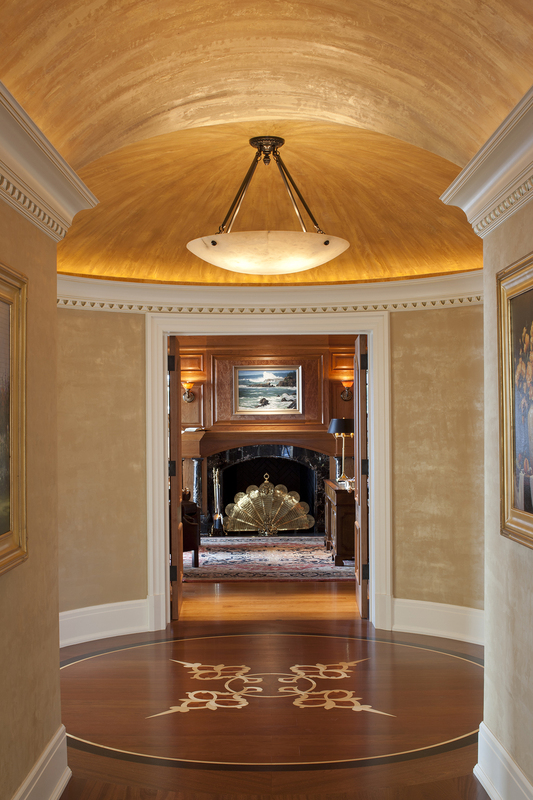 Three-inch thick mahogany arched wooden doors open to a private gallery, glowing from the gold-toned walls and colorful floral paintings. 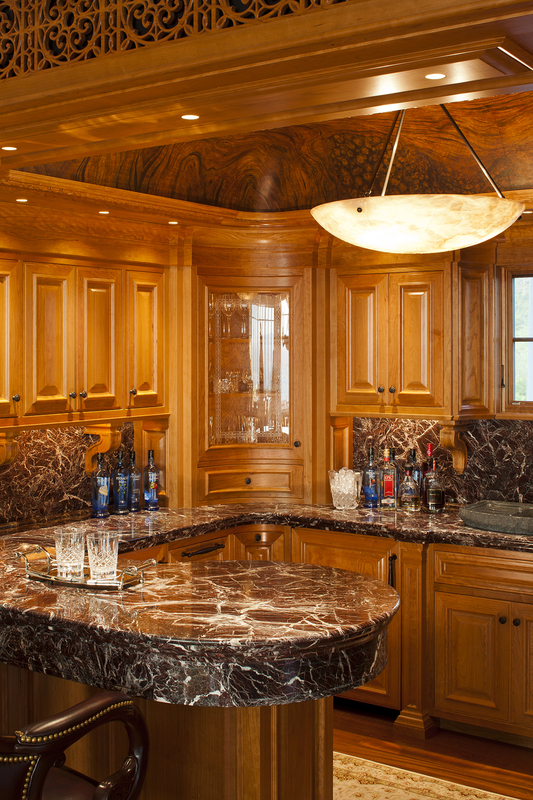 Ahead, a richly-appointed office has cherry built-ins, faux painted “leather” and cherry coffer ceiling, and black Italian marble fireplace. 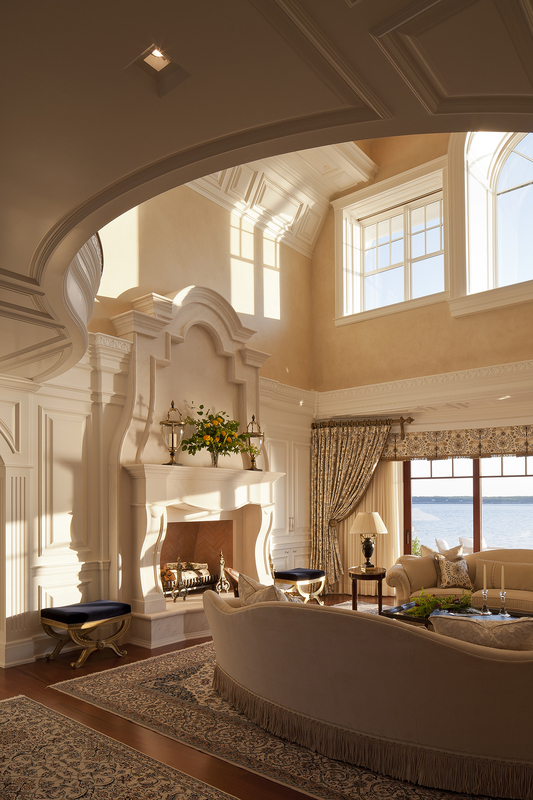 The master bedroom, with its barrel ceiling trimmed in compound-curve mouldings, is a testament to the successful collaboration between architecture, millwork and construction. 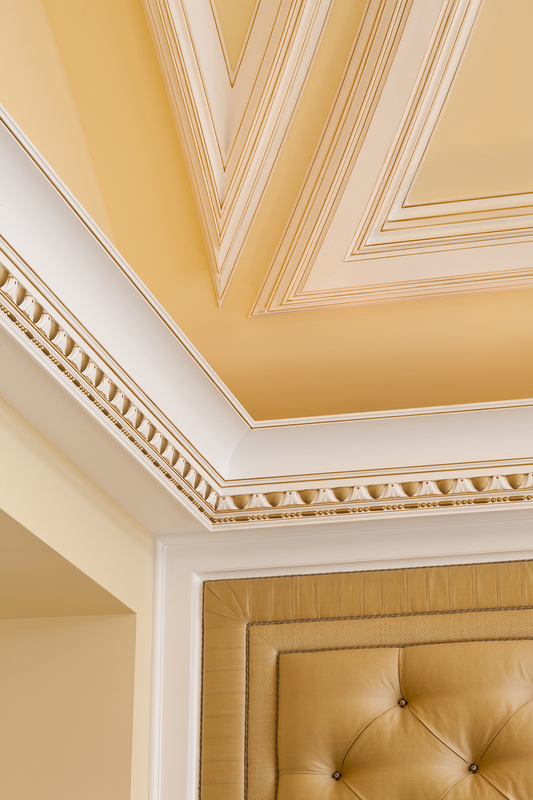 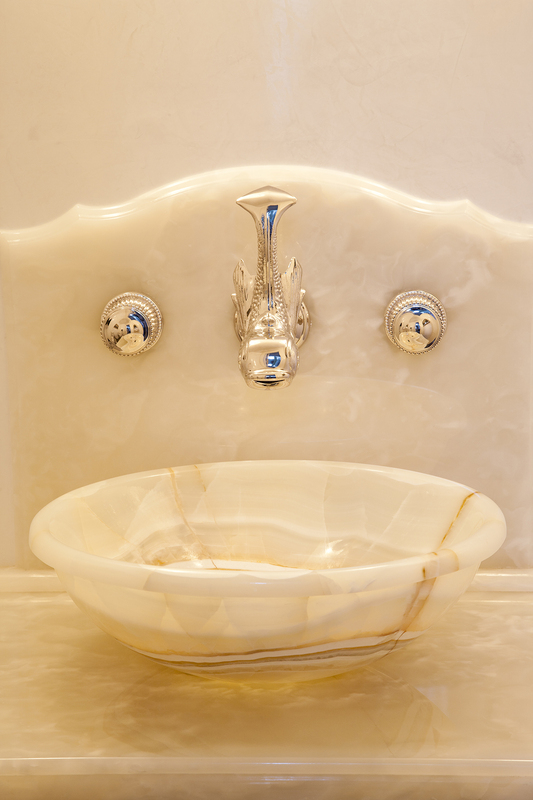 Mouldings are now trimmed in gold leaf and the light-filled room is a sanctuary. 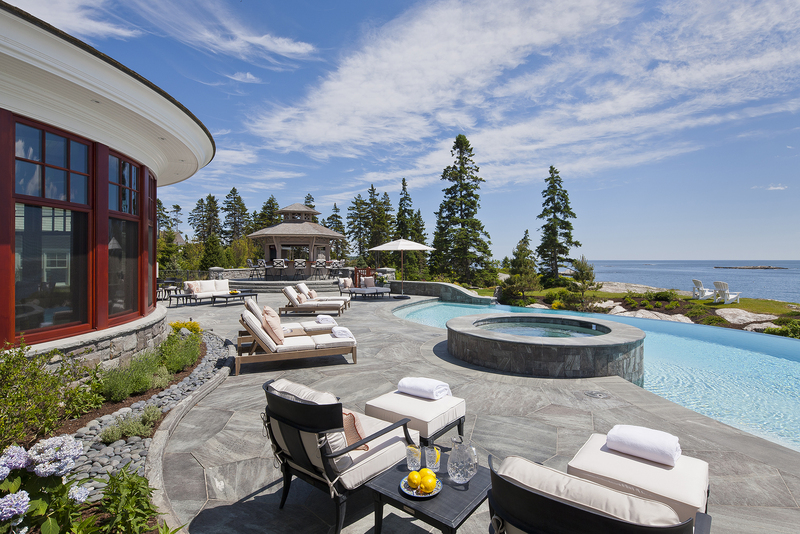 Windows frame the spectacular view and a pool-side stone terrace ends at the ledge where the vision began. 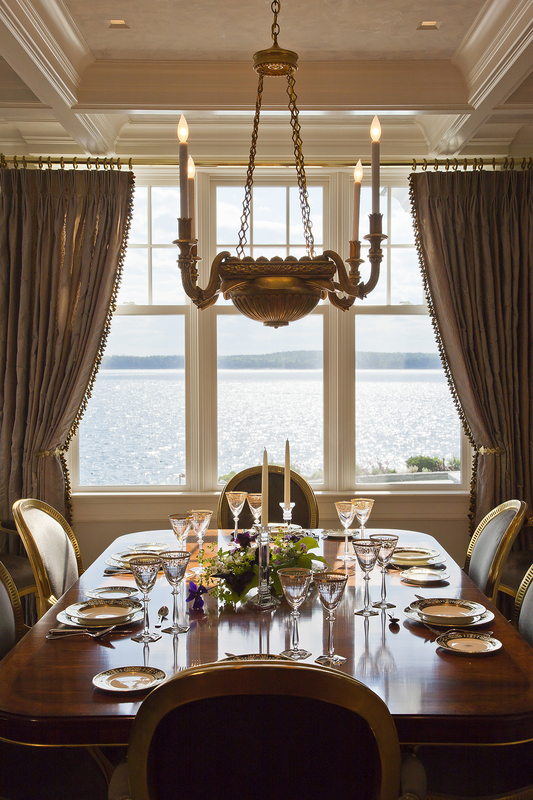 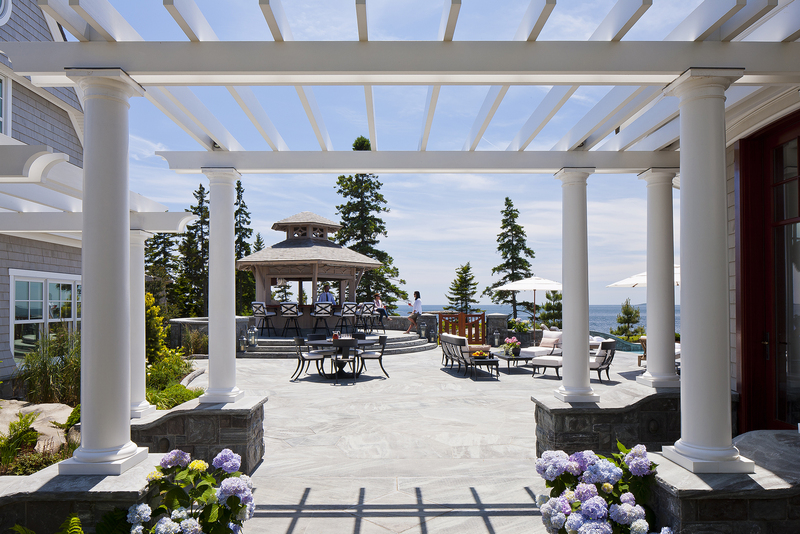 And sometimes, its just the simple things that evoke the most pleasure… a sunny spot to take in the open views of the Sheepscot River and the Atlantic Ocean beyond—Read more about Seascape Outdoor Living.